"Wizard of Oz" yellow brick road in N.Y. town? The Hudson Valley is fertile ground for literary inspiration. It's where Washington Irving penned "Rip Van Winkle" and the "Legend of Sleepy Hollow." It's sourced in Jack Kerouac's "On the Road." And some believe it inspired a 13-year-old boy to author one of the greatest children's books ever written, "The Wizard of Oz." CBS News Correspondent Michelle Miller reported L. Frank Baum grew up near Syracuse, N.Y., but for two years of his life, he ventured south to a town settled by the Dutch. Its streets -- paved with Dutch brick -- gave off a dull golden hue, likely forgettable to most, but for Baum, it was something that likely stuck with him. Peekskill, N. Y., Miller reported, is not the Emerald City, but the yellow brick road might have run right through it. Anyone who's seen the 1939-classic "Wizard of Oz", or read the Baum children's book on which it's based, knows the adventures of Dorothy Gale, a girl from Kansas, who awakes in a mysterious place and travels a golden path to an Emerald City, with a lion, scarecrow and tin man. If you ask Peekskill town historian John Curran, the man who penned the novel back in 1900 got his inspiration from a stretch of clay brick that was in the town when he was a boy. So is it the yellow brick road? Curran said, "As far as we can tell, from the maps and the documents and Frank's own accounts from the story, yes, it is." As curator of Peekskill's town museum, Curran has dug deep into the time Baum spent in the town while attending the Peekskill Military Academy in 1868. Now, it's just a block of golden pavement next to a parking lot, but in 1868, much of the town was laid in it. And for a homesick kid of just 13 years old, Curran says the yellow brick may have represented a way out. Curran said, "He had a traumatic experience at the academy for two years and if he's thinking, 'I want to get back home, well how do I do that?' It could really be that simple." Curran's ideas are a theory, and as unprovable as it may be, Miller said the citizens of Peekskill are running with it, fueling a campaign for a Frank Baum tribute of Oz-like proportions. Sculptor Richard Masloski is a huge fan of the classic characters illustrated in the book. His plan is to place life-size bronze statues along the town's waterfront. Masloski said the project is looking for funding now. The price tag is $225,000 - a lot of money for a small town. But proponents of the project believe the idea could boost the local economy and lure tourists who often just pass by on river boats through the scenic Hudson Valley. Peekskill native Deb Carlin is so passionate about the project, she's written a song about it. Carlin told CBS News, "What we're celebrating here is the imagination, and what we're laying claim to is factual." Author Evan Schwartz says they're probably right. His book, "Finding Oz" examines the origins of Baum's great American story. "It really came from the people, places and things that he experienced in his life," he said. According to Schwartz, the 1893 Chicago World's Fair inspired The Emerald City, and the dark days Baum spent as a young man in Kansas are reflected in the book's opening scene. Schwartz said, "What he was really looking for, I think, was a place that contrasted with the colorful world of Oz, and he picked the flattest, greyest, grimmest place he'd ever been." Curran said, "Those very intense experiences in his entire life show up in the book." Curran's convinced he's got a national treasure in his backyard. Miller asked, "What if this isn't it?" Curran said, "It has to be!" So for him, there really is no place like home. Miller added on "The Early Show" that the Baum book has sold millions of copies and been translated into more than 40 languages. 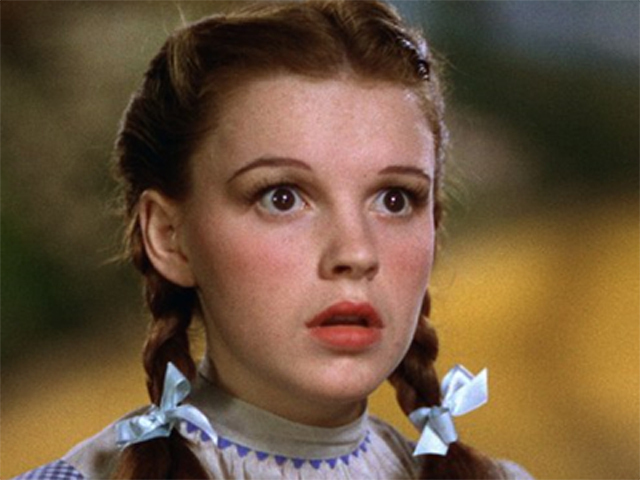 And the Judy Garland version of "The Wizard of Oz," which did not do well at the box office initially, has now - some 72 years later - been named by the Library of Congress the most-watched movie of all time. It's that audience, Miller said, the town of Peekskill is hoping to attract.